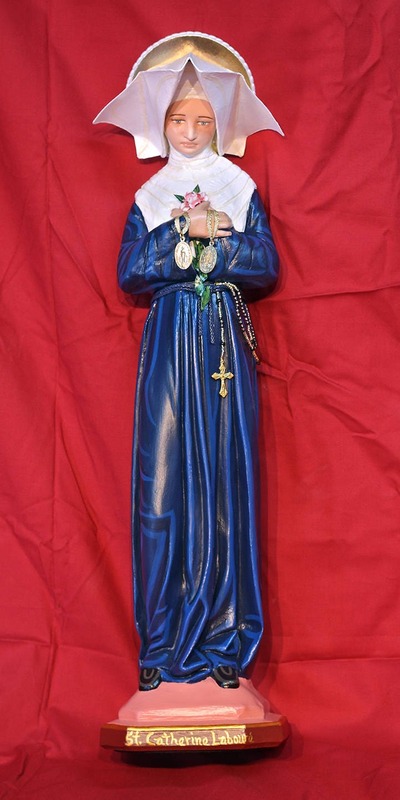 - Daughters of Charity of Saint Vincent de Paul. 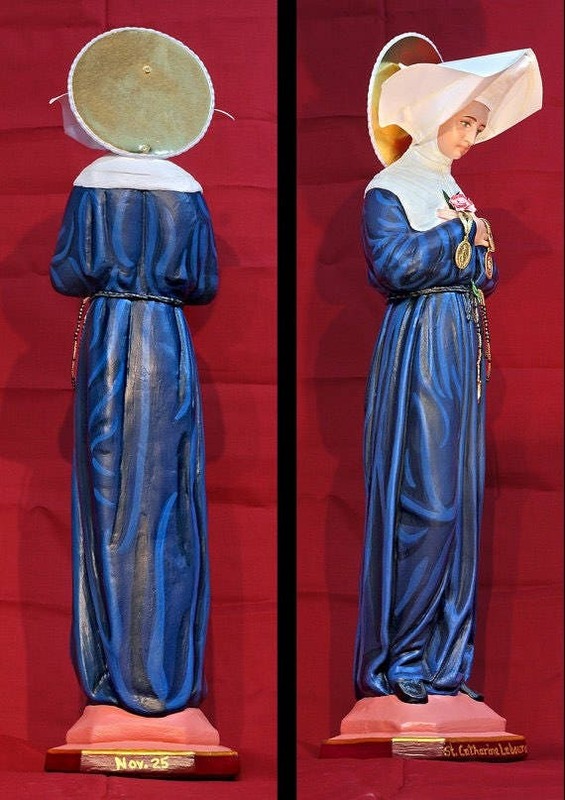 - Our Lady appeared and gave her instructions for the miraculous Medal. - Patroness of architects, miners, and prisoners. - Feast Day: November 25th. 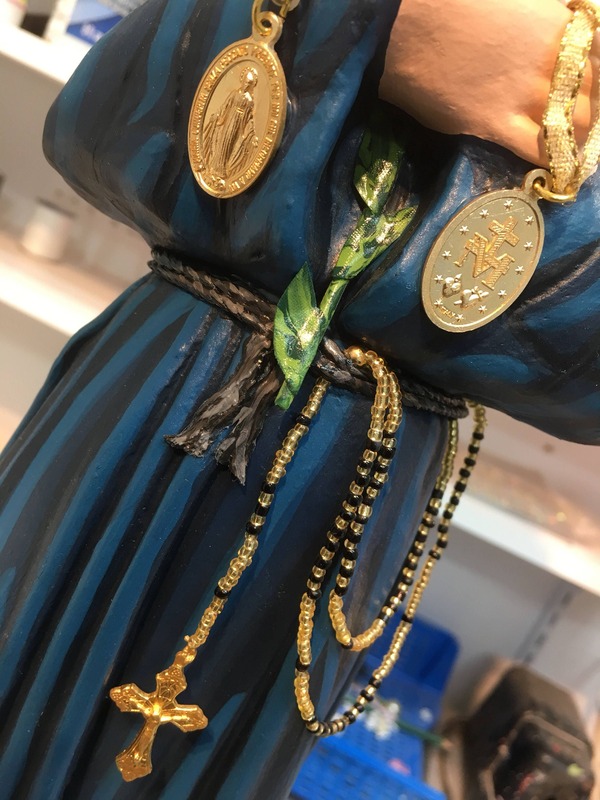 This highly customized statue features a divinely blissful hand painted face and details such as fingernails and eyelashes, cloth flowers, authentic garb and head gear of her order, and golden halo. 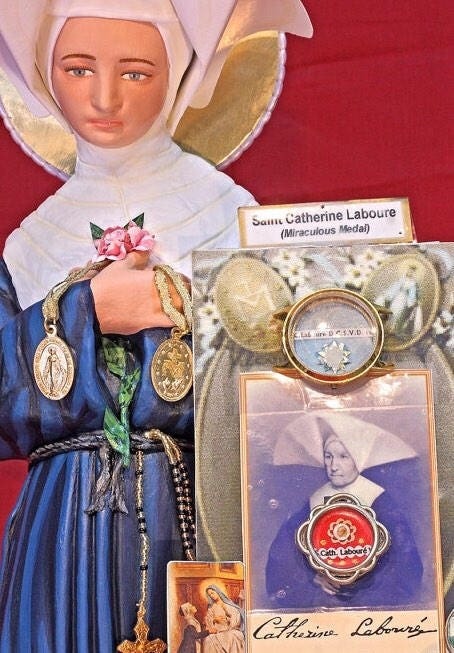 Saint Catherine holds two Miraculous Medals (front & back view) on a ribbon in her hands, while a miniature hand-crafted rosary hangs from her belt. 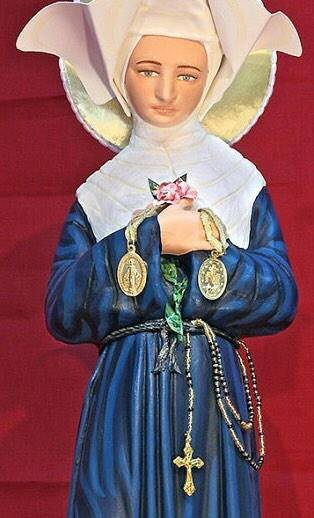 Your finished statue will be touched to a first class relic of St. Catherine Laboure. All our statues are made to order and handmade in the USA. Please allow 5-10 weeks for us to make and ship your statue.